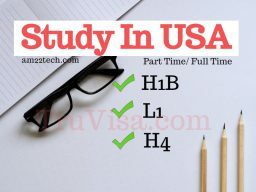 Can H1B or L1 Study in USA While Working Full Time? 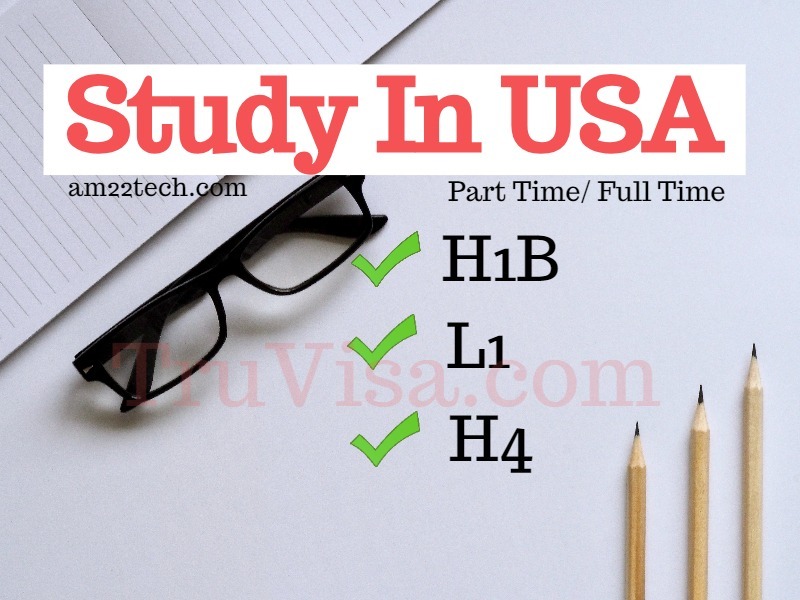 You can study Masters on H1B visa while working full time in USA. You can also do PHD on H1B visa without converting to F1 visa. Many people study MBA or MS part time after office-hours in evening to add value to their job profile. You can take classes online or offline as per your convenience. Remember, studies are allowed for H1B holder but, working outside of H1B job like driving Uber is strictly unlawful. Your H1B employer can pay for your study Tuition fees while paying for your H1B job to maintain H1B status. Did you know that you can work for multiple H1B employers concurrently? As long as you continue to work for your H1B holding employer and maintain status, you can do any course full time (usually night classes) or part time. Note that If you change your status to F1, you cannot work full time. F1 visa is specifically for studying full time. If you cannot manage full time study on H1B or L1 on the side, it is better to get part time course credits. You can work on H1B part time and study Masters full time in USA without changing your status to F1. Your employer should file an H1B amendment to convert your status from a full-time to a part-time worker. You can then start studying full time while you work on H1B part time. There is no extra notification required to inform USCIS about full time study. Incidental study means that you can study in US on the side if you can maintain your primary visa status like H1B. The in state Tuition fees law varies by state. Most states allow an H1B holder working in their state for at-least 1 year and paying state taxes to be eligible for in-state tution benefits. Can L1 Visa Holder Study in USA? L1 visa holder can study in USA while maintaining their L1 status and working full time. Notify USCIS of your Part Time H1b Studies? No USCIS notifications are needed if you start studying on H1B visa. As long as you are maintaining your H1b status as per the LCA and H1B approval, you are free to study for whatever percent of your time in addition to your job.